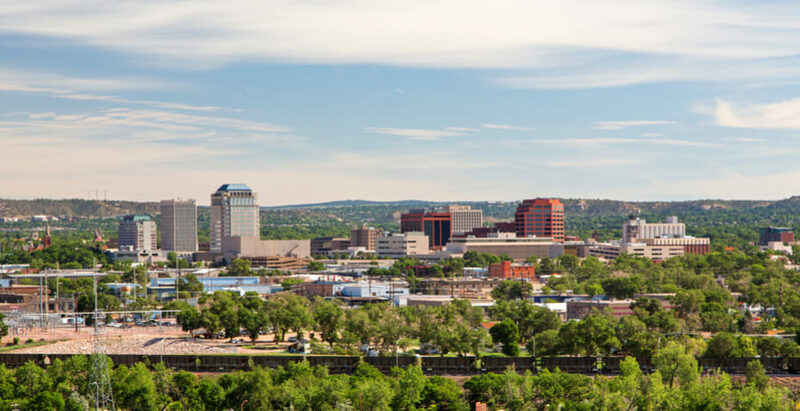 Located in Colorado Springs, Colorado and founded by Dr. Emory Brody, Cedar Springs Hospital is a behavioral health treatment center for individuals suffering from mental illnesses and substance abuse disorders. The facility was originally built as a private hospital more than 90 years ago and still retains some of its initial characters. The campus is in close proximity to Denver and resides at the foot of the beautiful Cheyenne Mountain in Colorado Springs. The facility offers a wide range of services to individuals of all ages—children, adolescents, and adults—battling substance, emotional, or behavioral disorders. Cedar Springs offers two rehabilitation programs that follow the residential treatment format: New Choices (for everyone) and The Recovery Zone (a 21 to 28-day special track residential program for the military). The Recovery Zone collaborates with the Patriot Support Program, a program created with the aim of providing behavioral health treatment for military personnel suffering from trauma, substance abuse or mental afflictions. The facility provides individually tailored programs for each of its clients. Some of these include a partial hospitalization program for adults, acute inpatient psychiatric treatment, and psychiatric residential treatment for adolescents ages 12 and up struggling with anxiety and depression. The facility also offers an Intensive Outpatient Program (IOP) for adults, detox, comprehensive psychological assessment, and dual diagnosis support. Experienced mental health professionals are constantly available at the hospital. Cedar Springs Hospital is located in the city of Colorado Springs which resides at the foot of the Rocky Mountains. The hospital is also right across the street from a shopping area. The hospital has the capacity to take in up to 110 patients and maintains its construction from decades ago—simple, plain interior and exterior and one story. The hospital is a great place for recovery due to its serene, natural environment consisting of hiking trails and mountains. The residential clients are accommodated in an adjoining building with rooms consisting of twin sized beds (linens are provided but clients free to bring their own sheets and pillows along). Clients should expect to have at least one roommate. Residents in the Recovery Zone program for soldiers and military personnel have their own sleeping unit which can accommodate about 12 individuals. The doors are usually locked and clients are let in and out of their rooms by staff members. Staff members also accompany residents on their outings. Food at the facility is served cafeteria-style and dietary requirements can usually be accommodated. This form of treatment at the facility encourages the use of good nutrition and adequate rest as paths to full recovery. The hospital’s experienced staff assist, manage, and monitor any withdrawal symptoms from the patient and offer medication if necessary. This particular program focuses on the treatment of clients who are struggling with co-occurring disorders and substance abuse issues. The hospital uses a holistic approach here and may include relapse prevention, family counseling, and support group sessions as means of recovery. The hospital offers an intensive outpatient program for adults. This serves as a transition from inpatient care or partial hospitalization. Clients receive much-needed therapy, counseling, and assessments while they have the convenience of living at home or staying at work. The program is less intensive and less expensive than the partial hospitalization program. The healthcare facility is licensed and accredited by The Joint Commission and The National Action Alliance for Suicide Prevention. The hospital encourages recreational activities such as fishing, hiking, bowling, zoo excursions, and many more. A gym is available to help promote mental health as well as physical health. Basketball and Volleyball courts have also been made available and clients are advised to bring magazines and books if they choose to. The facility provides a well-rounded treatment for substance abuse and addiction for a short period of time although partial hospitalization is offered as a discharge plan to help extend treatment for patients who have completed a treatment. The treatment program is very structured making sure that all activities, recreational or otherwise, are executed at the specified time. The aim is to promote and encourage early recovery. The hospital also caters for PTSD in Military Personnel’s either discharged or still in service and also anxiety and depression in children. “Specializing in over 40 practices, the facility is able to meet a full spectrum of needs required by clients or patients, using the knowledge and skill gained from experience. The facility is a great choice for clients living in the Detroit area and looking for an experienced clinical treatment approach. Larry went to The University of Missouri where he got his medical degree and The University of Cincinnati where he completed his residency. He completed his Pediatric Internship and Pediatric Fellowship at The University of Utah and The University of Colorado respectively. He provides mentorships and trainings to Residents, Medical Students, and Nurse Practitioners as he believes in talent developments and helps physicians (new and potential) reach their maximum potential. He has been working with Cedar Springs since the year 2000. Clint went to the University of Arkansas Medical Sciences where he completed Medical School also completing his Child Fellowship and Residency at the same institution; he completed a Forensic Fellowship as well. He worked as a Forensic and Paediatric Psychiatrists testifying on behalf of his patients. He was also a Forensic Examiner at his previous job before coming to work with Cedar Springs. Soyeun went to Touro University (College of Osteopathy Medicine) and completed her residency in psychiatry at the Walter Reed Military Medical Center. She also completed her internship at the Eisenhower Army Medical Center. She worked with the US army for 8 years and for 3 years was the 4th Infantry Division Psychiatrist at Fort Carson before joining the facility.